Jason Reitman, son of director Ivan, is to make a new film in the Ghostbusters series his father began in 1984. “Finally got the keys to the car,” said Reitman Jr in a Twitter post linking to a news article confirming the project. The Juno director said the film would be set in the present and be “the next chapter in the original franchise”. The new film – which follows the 1984 original, 1989’s Ghostbusters II and 2016’s female-led reboot – is scheduled for release in summer 2020. Reitman, who will also co-write the film with Gil Kenan, said it would not be another reboot, but would “follow the trajectory of the original film”. There will be “a lot of wonderful surprises and new characters for the audience to meet”, he promised. “I’ve always thought of myself as the first Ghostbusters fan, when I was a six-year-old visiting the set,” the 41-year-old told Entertainment Weekly. 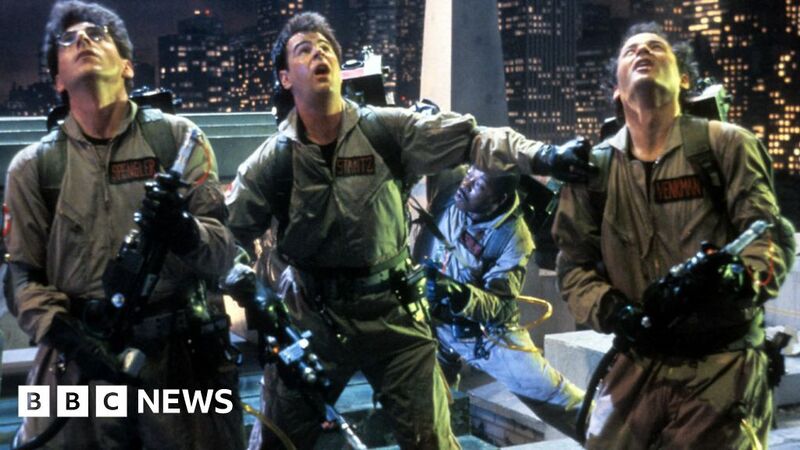 Dan Aykroyd, Bill Murray and the late Harold Ramis starred in the original film, which told of paranormal investigators who become freelance ghost catchers. The 2016 film, directed by Paul Feig and starring Melissa McCarthy and Kristen Wiig, got a lukewarm reception and made $ 229m (£178m) worldwide. “I have so much respect for what Paul created with those brilliant actresses, and would love to see more stories from them,” Reitman continued. Ivan Reitman, whose other comedies include Stripes, Twins and Kindergarten Cop, said the new film represented “a passing of the torch both inside and out”. The 72-year-old told Entertainment Weekly he was “quite surprised” to learn his son wanted to continue the series, but said his ideas had left him “literally crying”. Jason Reitman’s latest film, political drama The Front Runner, is currently in cinemas. Reitman, whose other films include Up in the Air and Tully, is not the only directorial scion to be taking on his famous father’s mantle. Max Landis, son of film-maker John, is currently working on a remake of his father’s 1981 horror hit An American Werewolf in London. After the underwhelming response to the last Ghostbusters film, it’s no surprise to see Sony Pictures going back to the original franchise for inspiration. Such course corrections are a standard response when film series are perceived to have lost their way, yet are still seen to have enough value to be worth continuing. The recent Star Wars films are a case in point. Unashamedly nostalgic and filled with familiar faces, they managed to win back fans whose love for the series was tested by George Lucas’s lacklustre prequels. Jason Bourne pulled off a similar trick, restoring Matt Damon and director Paul Greengrass to a series that floundered (in 2012’s The Bourne Legacy) when it attempted to carry on without them. Witness too the upcoming Terminator film, which will pick up the action where Terminator 2 left off and ignore the more recent additions to the franchise. And then there’s the James Bond films, which have a habit of recalibrating towards Ian Fleming’s original conception whenever the series becomes too outlandish or preposterous.